What is the Average Settlement for a Personal Injury? What is the Average Settlement for Personal Injury? Understanding Settlements and How Do Personal Injury Settlements Work? 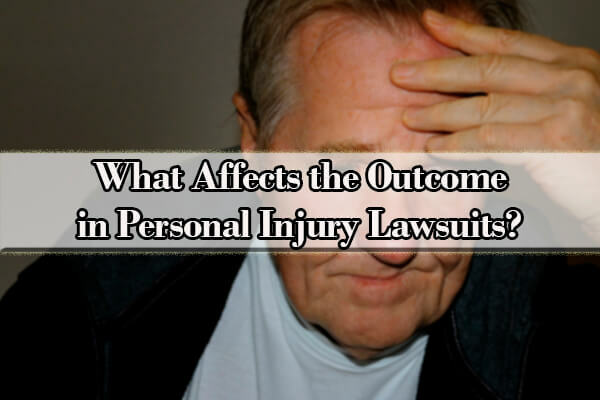 What Affects the Outcome in Personal Injury Lawsuits? What is the Average Time to Settle a Personal Injury Case? So, what is the average personal injury settlement? What are the average personal injury settlement amounts? When it comes to personal injury compensation, again, since each case is different, it’s sometimes difficult to state with precision a number representing an average personal injury settlement amount. Accordingly, each personal injury negligence settlement will be different from each other. However, despite the uniqueness of each case, there are some common factors that all cases share in common that will play a role in determining what your personal injury case is worth. In the demand letter, you will be addressing two main factors. The first factor is the defendant’s liability. Liability is how responsible somebody is for the injuries that you’ve sustained. Just because you were injured and sustained bodily injuries does not automatically mean that the defendant is liable. There needs to be a legal reason why the defendant is liable. The most common reason is due to the defendant’s negligence, meaning that the defendant had a duty to do or not do something, they neglected and didn’t do that duty, and as a result, you were injured. The second factor is damages. Damages is the degree to which you are stating that you were injured as a result of the defendant’s negligence. This is often measured in terms of what’s called “pain and suffering.” Damages, in general, is based upon the amount and degree of medical treatment you sustained, any lost wages, and also any permanent disability. Most often, damages is generally claimed through the amount of your medical bills, meaning the higher your medical bills you have, theoretically, the higher your damages. As such, the more medical bills you have, the higher your typical personal injury settlements, at least theoretically, should be. At the end of the demand letter, you will then be conveying a certain dollar amount that you are asking to satisfy the pain and suffering you’ve endured. So, you then may be asking, “How to calculate personal injury settlement?” Again, this will be based upon the two key factors that were discussed above. The better liability you have and the higher the damages you can claim, the higher your average settlement for personal injury will be. After the demand letter is sent, it’s the insurance company’s turn to respond to your demand letter. What affects the average personal injury lawsuit payouts? How much can be claimed for personal injury damages? How do I increase my chances of getting a higher than average settlement for personal injury? What factors are used in determining the average personal injury settlement amounts? Again, the two key factors in determining the average personal injury lawsuit payout is, the liability claimed, and the damages claimed. In regards to liability, if an officer or some government entity has already ticketed the defendant and cited them for violating a traffic law or for violating some kind of code, such as a health code, then that itself goes toward proving liability against the defendant. Accordingly, if there is a motor vehicle accident, and a police officer tickets the defendant for failure to reduce speed, or for failure to stop completely at a stop sign, then that would be a good example of evidence to support your liability against the defendant. Similarly, photos of the spot on the ground indicating the defective property and how that defect remained on the property for a long time, which caused you to trip and fall, would also be good evidence. how long the water had been on the floor, how it got there, or how big the spot of water on the floor was, then in those cases, proving liability, obviously, will prove more difficult. In regards to damages, showing receipts of what you’ve paid out of your pocket, presenting itemizes lists of your medical bills, presenting a letter from your employer about the dates you missed work and how much you are owed, as well as any documentation from your physician indicating how permanent your injury is, would all go toward proving damages. Furthermore, oftentimes, the insurance company may try to question that a diagnosis or condition that you were treated for was pre existing in nature and that you had it prior to your injury. Accordingly, you’ll want to try to secure an opinion from your doctor stating that your preexisting condition could have, at the very least, been aggravated from the accident. Next you may be asking, “What is the personal injury lawsuit process? If, after your demand letter, you are unable to negotiate and come to a resolution of the case, your next step would be to actually file the lawsuit in state court. This is considered the litigation stage of the personal injury process. During this stage, a complaint is drafted by you alleging what happened, your legal theory, and the damages that you are seeking. The defendant then responds to your complaint in what’s called an answer. Generally, they deny what’s in your complaint. After that, the next phase of this stage is what’s called discovery, in which each side submits written questions to each other in an effort to find out more about what the other side’s position is. This is called interrogatories. After interrogatories, each side may take depositions, so that instead of submitting questions in writing, you can ask them in person and have their answers recorded. After that, generally, there are motions filed, depositions of treating and expert witnesses are taken, and then the final step is the trial itself. How do I make a personal injury claim? Your best bet is not to get involved personally and to not represent yourself. Doing so not only puts you in a weaker position because you are unfamiliar with personal injury law, but also it can jeopardize your entire case by actually decreasing the chances of even receiving an average settlement for personal injury because the information that you provide may be an admission of liability or lack of injury. Injury claim lawyers know how to best phrase and word legal theories of liability and the damages that you are seeking. Furthermore, should the case have to proceed to trial, injury claim lawyers are familiar with the steps in personal injury cases and are familiar with the courts, procedures, and steps to advance your case. After your settlement demand is issued and given to the defendant, whether it’s prior to your lawsuit being filed with the state, or afterwards, you, at any time, can continue to negotiate your personal injury settlement. Although the defendant’s insurance company may give you a personal injury settlement offer, that does not mean that you have to accept it. On the contrary, you may continue to negotiate your settlement until you reach a personal injury settlement agreement. How much to ask for in a personal injury settlement? What is the usual result of settlement? What is the average settlement for personal injury? What are the average personal injury settlement amounts? Again, your pain and suffering is based upon your damages and how much of the liability you can prove against the defendant. Even though you may have over $100,000.00 in medical bills and had multiple surgeries, if your liability is lacking because you can’t show that the defendant is legally responsible for the $100,000.00 in medical bills, then this will affect your damages. However, as a general rule, irregardless of your lack of liability or damages, you should always ask for as much as you think you are entitled to in the beginning because you can always negotiate down. Accordingly, it is not suggested that you reduce the amount that you are claiming in the beginning because if you do so early on, meaning you ask for a lower amount and then change your mind and then ask for a higher amount, then you probably won’t be able to change your position. 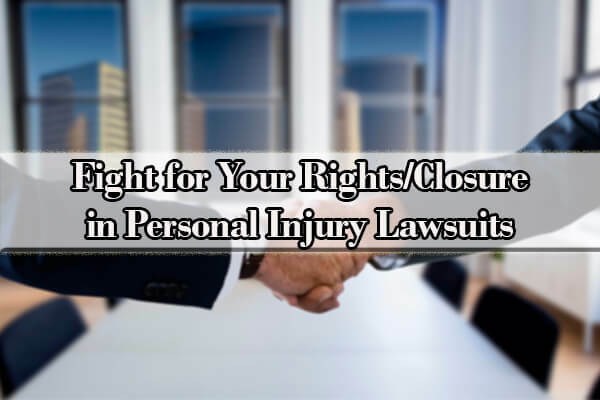 In your demand letter, in addition to conveying your demand for damages, you’ll also want to convey the idea that if your demand is not met, then you will be forced to engage in filing a personal injury lawsuit. If you actually do so, you will need the assistance of a knowledgeable personal injury attorney. They will be familiar with personal injury lawsuit statistics and know how to prepare for a lawsuit. So, you may be asking, “Just how long does it take to receive a settlement?” Again, since each case is different, it’s sometimes difficult to state with certainty an average time. Each case has their own unique damages and liability that you must prove. Furthermore, since there are different types of personal injury cases, the type of case you have may also be a factor in the average time it takes to settle. For instance, having a motor vehicle accident personal injury case may take less time to settle than a slip and fall case in which you are trying to find out who owns the parking lot where you injured yourself at. The reason for this is because you may have to engage in discovery or take depositions to determine who actually is the legal owner of the parking lot, and that could take time and a lot of effort. Accordingly, when it comes to average time to settle, there are different factors that come into play when it comes to the average time to settle a personal injury case. When it comes to personal injury lawsuits, you also may be asking yourself, ”How many personal injury claims go to court?” The answer is that the vast majority of personal injury cases usually settle before they have to be filed in court. The reason for that is because filing suit is expensive. Not only is it expensive for you the victim, but also for the defendant’s insurance company, who will then have to hire counsel to defend their claim. Most of the time, as long as you can prove liability and damages, the insurance company will want to settle with you. But in order to get it so that the insurance company will do so, you’ll have to demonstrate solid evidence regarding your liability and damages. This is why it’s important to consult with an experienced personal injury attorney. Prior to hiring one, you’ll want to know how much experience they have in personal injury court cases and how many personal injury cases they’ve actually completed. Medical expenses ($) Enter the total of your medical bills, even if you didn’t pay out of pocket. Q: How is a Personal Injury Settlement Paid Off? A: Settlements are paid by the insurance company issuing a check. If there are any liens involved, meaning a legal right to recovery before any monies are dispersed, then those liens need to be addressed. A medical lien is different from a medical bill. You can have unpaid medical bills, but not have to pay those out of the settlement; however, with a lien, you have to address that before any money is disbursed. Prior to settlement, you will talk with your attorney about how you want the money disbursed and what you can or cannot do. Q: How Long Does it Take to Settle a Personal Injury Lawsuit? A: Each settlement is different and can take as little as a few months to years. It depends on proving liability, damages, and what type of a personal injury lawsuit you have. Q: How Long Does it Take to Receive an Offer of Compensation in Personal Injury Lawsuits? you did not. Ultimately, in general, the stronger the case the more inclined the insurance company will be to offer you money. Q: What Percentage of Personal Injury Cases Go to Trial? A: The vast majority of cases are resolved outside of going to trial. Going to trial is expensive and can be very costly for both sides. However, it is a necessary precaution, which means that if the insurance company refuses to cooperate, you may have no choice but to go to trial. That is why it’s very important to have a competent and experienced trial attorney who’s familiar with and knows their way around the courtroom and how to try a case and win. Q: How Much Should I Ask for Towards a Personal Injury Settlement? A: Your settlement demand is based upon damages. The higher your pain and suffering, the higher your settlement demand. This consists of medical treatment, medical bills, lost wages, and permanent disability. Q: How Do I Get The Most from My Personal Injury Settlement? A: The best way to get the most is by having good evidence. This means taking pictures of your injuries, gathering witnesses and their contact information, getting receipts of what you’re claiming, and taking pictures documenting the negligence of the defendant. The better the evidence, the more leverage you will have in getting a higher settlement and turning down low settlements. Having good evidence is not the only key in getting a favorable settlement. Not only do you need to have good evidence, but you have to know how to present it favorably and present it in a manner so that you aren’t jeopardizing your case. This is especially important when it comes to proving liability. Only an experienced and knowledgeable personal injury attorney will be able to do this for you. 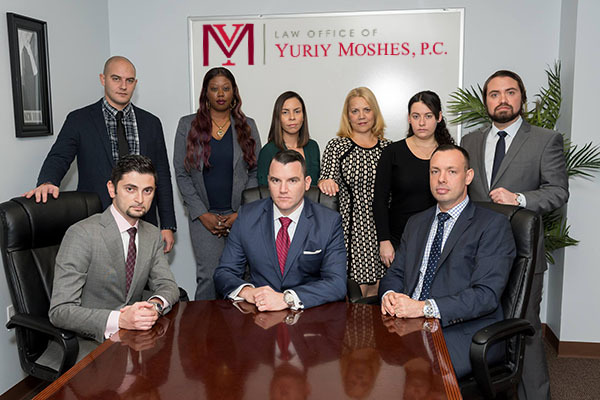 A qualified personal injury attorney from the Law Office of Yuriy Moshes will have the expertise, knowledge, and experience to do this. Moreover, they offer a free consultation. They help victims of personal injury lawsuits in the New York City area including all its boroughs (Manhattan, Brooklyn, Queens, the Bronx and Staten Island) as well as Northern New Jersey, Long Island, and Upstate New York. Our lawyers are available 24/7. We are here for you on evenings, weekends and holidays and will work around your schedule to defend your rights. © 2018 Law Office of Yuriy Moshes, P.C. Prior results do not guarantee a similar outcome. This Website is attorney advertisement and is for informational purposes only. The hiring of an attorney is an important decision that should not be based solely upon advertisements. Materials in Law Office of Yuriy Moshes, P.C. website have been prepared to permit you to learn more about the services we offer to clients. These materials do not, and are not intended to, constitute legal advice. Neither transmission nor receipt of such materials will create an attorney-client relationship between the sender and receiver. Users are advised not to take, or refrain from taking, any action based upon materials in this Website without consulting legal counsel. Copyright © Law Office of Yuriy Moshes, P.C. All Rights Reserved.